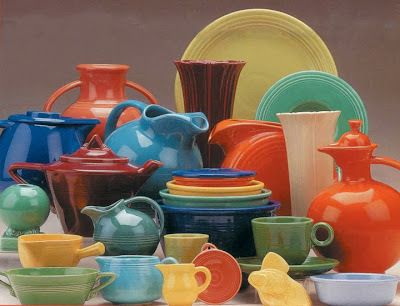 The Homer Laughlin China Collectors Association is the premier organization for those interested in Homer Laughlin China. The HLCCA is a non-profit 501(C)(3) all volunteer association, formed in July 1998, for the purpose of sharing information about HLC’s 19th and 20th, and now 21st century dinnerware lines with collectors, libraries, museums, and others interested in the important roles that HLC has had in American dinnerware design. 1. The simplest is visit the HLCCA website www.hlcca.org and click on the "join us" button -- a web page opens up with a few methods of joining. 4. or email HLCCA at info@hlcca.org with your address, etc and a membership form can be emailed or mailed to you if you are unable to download the online file. If you have any questions about the association feel free to ask via email info@hlcca.org .